The Prime Minister of India is the chief executive of the Government of India. In India's parliamentary system, the Constitution names the President as head of state de jure, but his or her de facto executive powers are vested in the Prime Minister and his Council of Ministers. Appointed and sworn-in by the President, the Prime Minister is usually the leader of the party or alliance that has a majority in the Lok Sabha, the lower house of India's Parliament. Since 1947, India has had fourteen Prime Ministers, fifteen including Gulzarilal Nanda who twice acted in the role. The first was Jawaharlal Nehru of the Indian National Congress party, who was sworn-in on 15 August 1947, when India gained independence from the British. Serving until his death in May 1964, Nehru remains India's longest-serving prime minister. He was succeeded by fellow Congressman Lal Bahadur Shastri, whose 19-month term also ended in death. Indira Gandhi, Nehru's daughter, succeeded Shastri in 1966 to become the country's first woman premier. Eleven years later, she was voted out of power in favour of the Janata Party, whose leader Morarji Desai became the first non-Congress prime minister. After he resigned in 1979, his former deputy Charan Singh briefly held office until Indira Gandhi was voted back six months later. Indira Gandhi's second stint as Prime Minister ended five years later on the morning of 31 October 1984, when she was gunned down by her own bodyguards. That evening, her son Rajiv Gandhi was sworn-in as India's youngest premier, and the third from his family. 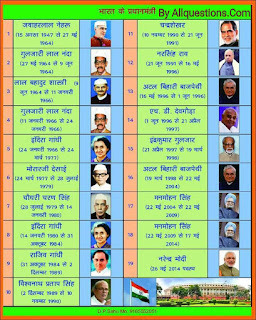 Thus far, members of Nehru–Gandhi dynasty have been Prime Minister for a total of 37 years and 303 days. Rajiv's five-year term ended with his former cabinet colleague, V. P. Singh of the Janata Dal, forming the year-long National Front coalition government in 1989. A six-month interlude under Prime Minister Chandra Shekhar followed, after which the Congress party returned to power, forming the government under P. V. Narasimha Rao in June 1991. Rao's five-year term was succeeded by four short-lived governments—the Bharatiya Janata Party's Atal Bihari Vajpayee for 13 days in 1996, a year each under United Front prime ministers H. D. Deve Gowda and I. K. Gujral, and Vajpayee again for 19 months in 1998–99. After Vajpayee was sworn-in for the third time, in 1999, he managed to lead his National Democratic Alliance (NDA) government to a full five-year term, the first non-Congressman to do so. 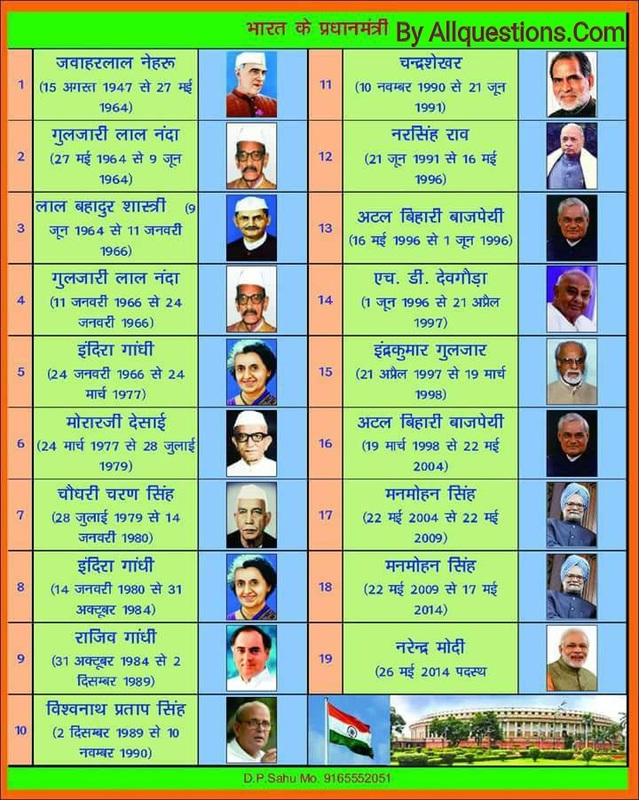 Vajpayee was succeeded by Congressman Manmohan Singh, the first Sikh premier, whose United Progressive Alliance government was in office for 10 years between 2004 and 2014.